News - Florida Carry, Inc. When Hueris Mora came to us, we did what we always do when contacted by someone who is facing gun carry charges. We set about researching the charges and circumstances of the incident. Florida Carry only gets involved in these cases when good people face unjust charges because they choose to lawfully carry defensive arms. In his case, it was immediately apparent that continuing prosecution by the office of Katherine Fernandez Rundle, Miami-Dade State Attorney, was unjust at best. Our consulting attorneys statewide were in unanimous concurrence that prosecution of this case, despite the clear language of 790.053, was completely baseless. The car he was riding in the back seat of was stopped and everyone ordered out. As he got out, Hueris raised his hands and told the officer "I have a concealed carry license, and I have a gun on me." This is exactly what law enforcement asks that law-abiding concealed carriers do when stopped by police. When he raised his hands above his head, his shirt rode up exposing his properly holstered handgun. The gun was only exposed because he raised his hands to surrender to the officer and inform him that he was armed. He was arrested and prosecuted months after SB234 was passed clarifying that "brief" exposure is not illegal. The officer and State Attorney used that subjective "briefly exposed" language and the requirement that a licensee be "carrying a firearm in a concealed manner" in to justify the arrest and prosecution. The Miami-Dade State Attorney's Office must have also known that they were in an untenable position because they quickly agreed to take the possibility of jail time off the table. Removing the possibility of imprisonment was not an olive branch offered in the interest of justice, it was in fact a Trojan Horse. This underhanded move was their only way to keep prosecuting the case because it had the calculated effect of taking away Mr. Mora's public defender. Once the Assistant State Attorney prosecuting the case had effectively maneuvered to deprive Mr. Mora of legal counsel, an offer was made. An offer so common in Florida that it is considered the standard plea deal... "You can retake the concealed course to get your license to carry back but kiss your gun goodbye." Hueris knew he was getting the shaft despite having done nothing wrong, so he did what nobody before in Florida (that we know of) had done. He didn't sign the deal. This was a brave decision despite having no legal help at that time. Florida Carry has consulting attorneys who do countless hours of pro bono work behalf of our members. Unfortunately, at that time we did not have a criminal defense attorney in Mr. Mora's area. That's when we reached out to Jesus "Jojo" Rodriguez. He didn't blink. Pro bono defense of a truly worthy young man who needs our help? "Absolutely!" was Jojo's immediate response. Our other attorneys and legal interns rallied together to provide support and Mr. Rodriguez, Florida Carry's newest consulting attorney, drove this case home. The charge of violating Florida's Open Carry Ban was dismissed with prejudice. We finally won this fight that deprived Mr. Mora of his handgun for nearly six months. Last year, when 2011 SB 234 was debated in the State Legislature, our elected leaders were told about law abiding gun owners being arrested and thrown in jail for even accidental or incidental exposure of lawfully carried firearms. The State Prosecuting Attorneys lobbyist repeatedly said that "Nobody has ever been prosecuted for open carry." The fact is that nobody ever went all the way to trial. Many have been prosecuted; this was a case where a good man fought back. If this doesn't meet some lobbyist definition of prosecution, we recommend a new dictionary. 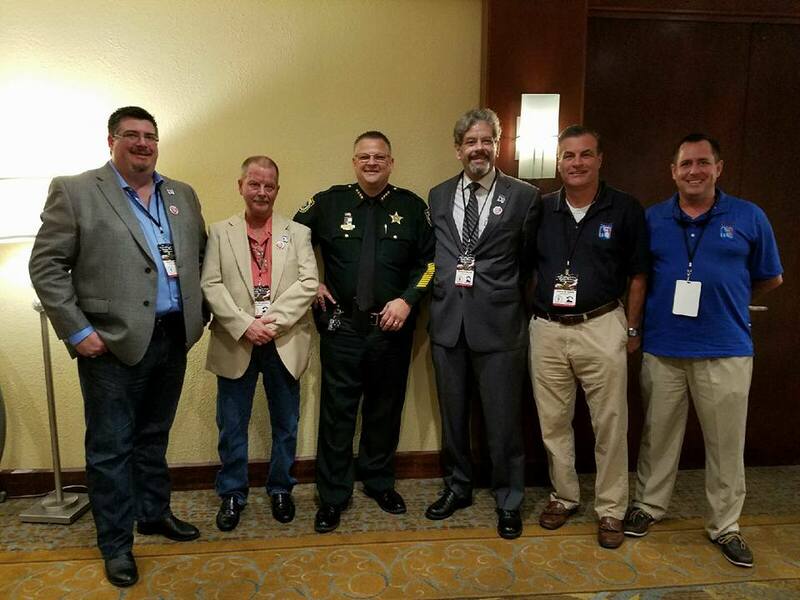 The Florida Sheriff's Association sent multiple lobbyists in uniform who said that law enforcement officers will use their "proper discretionary powers" and would never arrest someone for carrying a handgun if it became innocently unconcealed. Yet there is a 25 year history of some officers using subjective language in firearms laws to unreasonably arrest law-abiding people who choose to exercise their right to bear arms. In one such case a man lawfully carrying was permanently injured when handcuffs were put on him with such force that nerves in both wrists were severed. All because part of his handgun became unconcealed. Early last year, Florida's Open Carry Ban was amended to insert the subjective language asked for by the Florida Sheriffs and State Prosecuting Attorneys Lobbyist. This compromised language came with their promise that these incidents would stop. Subsequently Mr. Mora had to spend a night deprived of his freedom in jail and half a year fighting for his rights. Even after the case was won, it took many more months for an attorney to get his handgun returned with a required court order. What should have been nothing more than a check of Mr. Mora's concealed carry license turned out to be a 10 month ordeal even with the assistance of a qualified attorney. Every month we are contacted by other law-abiding people who have been confronted, detained, and threatened with arrest because they were lawfully carrying a firearm in Florida and it “printed” through clothing or became unconcealed. Concealed Carry licensee Dale Norman was found guilty of violating the open carry ban by a Jury in June 2012 after his lawfully carried handgun accidentally became exposed while walking. Since he did not notice that his shirt got stuck behind his holster, Dale now has a criminal record. We have video of his arrest. The judge in Mr. Norman's case will still be hearing motions to dismiss the case, despite the jury finding, on July 31st, 2012. Florida's very odd open carry ban and the insufficient changes made in 2011 has resulted in at least 15 unjust criminal arrests and prosecutions that we know of since 2011 when SB234 was passed. Only 6 states widely ban Unconcealed Carry. They have broken their promise and we now call on the Florida Legislature to repeal one of the most anti-gun laws in the country. Despite the Florida Legislature’s clear intent that people who have lawfully carried handguns, which may become innocently unconcealed, face no charges. As long as the general ban on open carry exists, these arrests and prosecutions will continue unabated. Florida Statute 790.053 is Florida's very unusual open carry ban, it was a knee jerk reaction when passed in 1987 and it is long overdue for repeal. Now that we have put teeth in to the state firearms preemption law, usually when we contact cities and counties about their preempted firearms ordinances we have great success in having their unlawful gun control laws removed from the books. Thank you for bring this to my attention. We have recently removed a section in Chapter 10 regarding firearms (Ordinance 2011-22) so that we are in compliance with the FSS, however this section was missed. I apologize and be assured we will rectify this as soon as possible. After this law passed, the city did a cursory review of its codes and did not see these provisions. The city will amend its codes to comply with State Statutes as soon as possible. It appears that January will be the earliest that the city can begin the process of amending its ordinances. Then we have a very few cities who decide to put themselves on Florida Carry's "Naughty List". Yesterday The City of Leesburg decided to stick by its anti-gun laws. Let's not get over-zealous with the rhetoric. The City of Leesburg is well aware of FS 790.33. You will note the statute says specifically that local governments are prohibited from "enacting, enforcing, or promulgating ordinances which regulate firearms and ammunition...". None of these things has occurred since October 1, 2011. There is no requirement that we repeal said laws, as you seem to indicate is necessary. Any action taken in the future regarding the existence of these laws in our Code of Ordinances will be done at the discretion, pleasure, and timing of the Leesburg City Commission. Actually we are on extremely solid legal ground and will file a lawsuit showing that The City of Leesburg and City Manager Evans are both actively breaking state law. This is not rhetoric, this is the law and we will demand that it is upheld. Help us send a lump of coal this Christmas to the City of Leesburg and to City Manager Evans. Click this link to Donate to Florida Carry's Legal Fund Today! Miami, FL (November 1st, 2011) – As we reported earlier, Florida Carry, Inc. planned to file lawsuits on Monday against the City of Miami and Miami-Dade County to end their unlawful gun control ordinances. Moments before the cases were to be filed with the court, we received assurances from the Miami City Attorney's Office that their unlawful ordinances will be repealed on November 17th. Miami-Dade County has also agendaed a measure to repeal its gun control laws. We have subsequently decided to suspend filing the cases against Miami and Miami-Dade. We will not file the lawsuits if the city and county follow through with their plans to repeal the offending ordinances at their next council meetings and if there are no attempts to enforce the preempted gun control laws before their removal from the city and county books. Florida Carry has identified and worked with over 300 cities, counties, and state agencies to remove unlawful gun control ordinances and signs. The vast majority of those jurisdictions have subsequently repealed their ordinances and pulled down their anti-gun signs. We are pleased that these Miami lawsuits may now be avoided. We will have a small meeting on Saturday, November 12th, at Miami-Dade's Black Point Marina Park to enjoy a morning of Fishing and answer any questions about Florida Carry and our efforts to support Florida gun owners. Our strength is in our grassroots. Our continued success is dependent on your membership. Please join us today. Be careful where you carry, firearms preemption is only 1/2 the answer! So, you have your Florida Concealed Weapon or Firearm License (CWFL) and you know that Florida preempts all firearms laws throughout the state so that you don't accidentally break some ridiculous local ordinance and end up in the hoosegow for carrying your weapon. You have a license from the state and we fought hard to make preemption enforceable last legislative session! Well, you are half right. Your pistol won't get you in trouble but your pocket knife could put you away for a MINIMUM of six months, cost you a cool grand, and yeah... they'll take your knife too. But wait! I have a license from the state to carry that! Yep you do, but not from Miami-Dade County and your assisted opening pocket knife just violated their laws. Sec. 21-14. - Dangerous weapons; penalty; trial court. (a) Concealed dangerous weapons. It shall be unlawful for any person to wear under his clothes, or concealed about his person, or to display in a threatening manner any dangerous or deadly weapon including, but not by way of limitation, any pistol, revolver, slingshot, cross-knuckles or knuckles of lead, brass or other metal, or any bowie knife, razor, dirk, dagger, or any knife resembling a bowie knife, or any other dangerous or deadly weapon, except as hereinafter provided. (b) Switch blades. It shall be unlawful for any person to sell, offer to sell, display, use, possess or carry any knife or knives having the appearance of a pocket knife, the blade or blades of which can be opened by a flick of a button, pressure on the handle, or other mechanical contrivance. Any such knife is hereby declared to be a dangerous or deadly weapon, within the meaning of subsection (a) and shall be subject to forfeiture to the County as provided by subsection (c). (e) Penalty. Every person who is convicted for a violation of subsection (a) shall for first conviction thereof be punished by imprisonment for not less than six (6) months and by a fine of not less than one thousand dollars ($1,000.00); for a second or subsequent conviction of a violation of subsection (a) such person shall be punished by imprisonment for not less than one (1) year and by a fine of not less than one thousand dollars ($1,000.00). Come on, nobody gets arrested for a pocket knife! Pulino's chef Nate Appleman arrested for pocket knife. 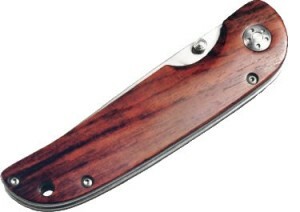 There are even bills in the 2012 Florida legislature to ban common pocketknives from university campuses. HB179 and SB356. See here for a satirical look at the: "Bill to Stop Dangerous Cubs Scouts and ROTC Who Terrorize Schools and Colleges"
This gives us a bad mix of a patchwork of local laws and people thinking that they have a license that lets them carry the weapons, that the license is good for, statewide. We need a preemption statute to cover our other carry weapons and knives. West Palm Beach is now banning all knives and weapons except firearms from librarys and City Hall. Ft. Lauderdale has adopted new ordinances to ban knives and other weapons that may commonly be carried at outdoor events like parades and local festivals. "The city (Ft. Lauderdale), in response to the new state law, changed a local ordinance that forbids weapons at parades and local events. Now, guns are allowed but knives are not." Florida Carry had just started kicking around language for a bill when out of the blue, Florida Carry Board Member Richard Smith ran smack in to our friends at Knife Rights. They just passed knife preemption in Arizona and are looking for help the rest of the states. 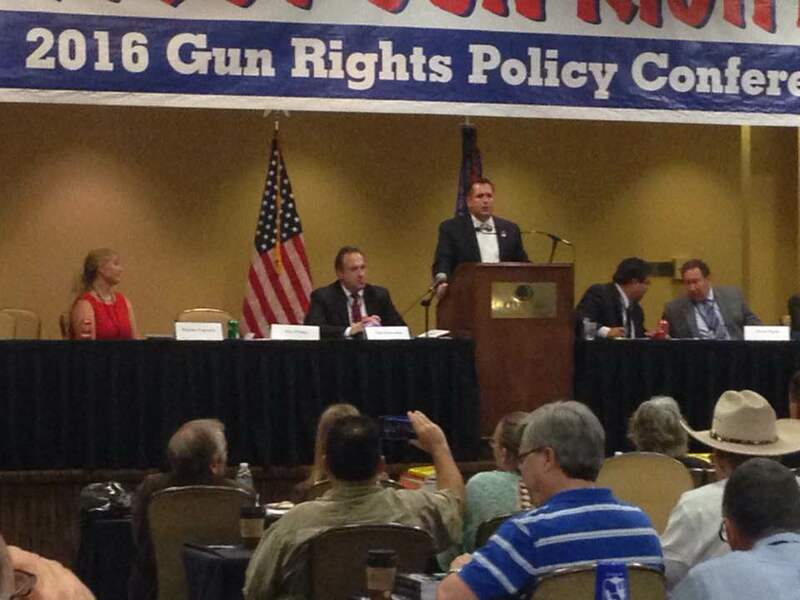 It's time open the second front in the fight to protect your Second Amendment Rigths in Florida! On Monday October 31st, Florida Carry, Inc. will file lawsuits against the City of Miami and Miami-Dade County to end their unlawful gun control ordinances. Since 1987 the Florida Legislature has preempted firearms law and issued statewide licenses to carry for self-defense. Since 1982 it has been legal for law abiding adults to keep a handgun in their glove-box or closed console without any licensing requirements. Over the past year Florida Carry members and volunteers have worked with over 300 local jurisdictions to have unlawful gun control ordinances repealed and remove dangerous bans on our constitutionally protected right to a means of self-defense. During the last legislative session HB 45 was passed to provide for the enforceability of Florida's longstanding preemption of all firearms and ammunition laws. We are pleased to report that the vast majority of local governments have subsequently repealed their anti-gun laws and removed dangerous "No Firearms" signs. Just yesterday, state Representative Rick Kriseman (D - St. Petersburg) withdrew a bill that would have allowed Pinellas County to ignore state firearms laws without penalty. They wanted to be above the law but Florida gun owners won the day. Despite our best efforts to educate city and county officials about the requirements of the firearms preemption law, some local leaders and bureaucrats have decided to test our resolve. Miami continues to demand that parents have no means to protect themselves and their children in public parks. The city even goes so far as to demand that law abiding people disarm during locally declared emergencies. New Orleans did the same thing after Hurricane Katrina. Gun owners were disarmed and left defenseless as lawlessness spread in the Hurricane's aftermath. It was the largest gun grab in modern U.S. History and the City of Miami maintains an ordinance designed to allow it to do the same thing. The Second Amendment was designed to protect your right to an effective means of self defense. This is especially important in places like parks, were crime happens often, and parents have a need to defend their families. During emergencies, when police agencies are often overwhelmed, the right to defend yourself is CRITICAL! The City of Miami and Miami-Dade County have both declared they can take your rights away at their whim in parks and even after a disaster. Florida Carry works tirelessly to resolve these issues statewide and has been left with no option but to file these lawsuits. We will have a small meeting on Saturday, November 12th, at Miami-Dade's Black Point Marina Park to enjoy a morning of Fishing and answer any questions about Florida Carry. Florida Carry also has an ongoing case against the University of North Florida's ban on University Students possessing firearms in campus parking lots. See our Litigation Page. These cases are expensive to file and fight, our opponents have nearly unlimited funds and will attempt to burry us in these lawsuits. We need your Voice! Please Join Florida Carry or Donate to our Legal Fund. Firearms Preemption Enforceable Oct 1st. OCSO releasing private gun owner info - Request for special prosecutor.